We had a lovely day wandering around our coastline on a beautiful sunny Saturday. 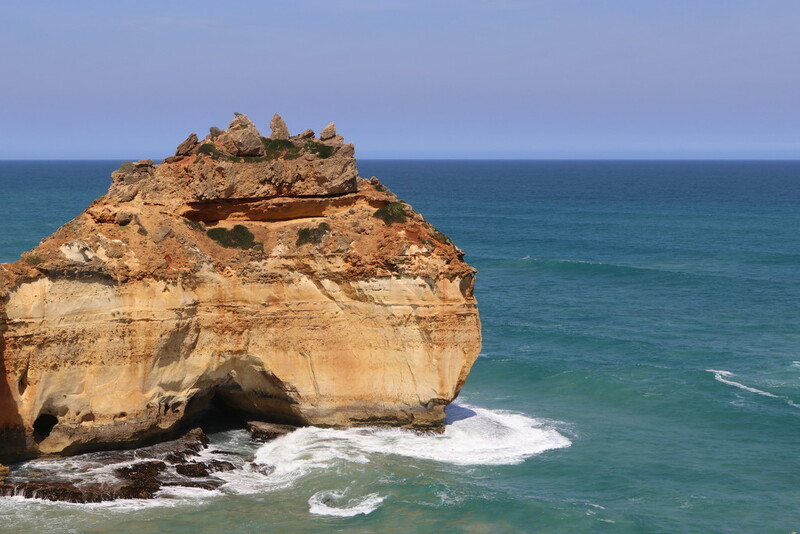 It is great to appreciate how beautiful our own landscapes are - your photo here is nicely focused on that amazing rock! Great find and shot of this lovely rock. HA! You lovely ladies are very clever! I like Sheralee S's comment! It is very like the map of Australia! Very clever naming of that incredible boulder. Great find! Amazing rock formation. A beautiful scene and capture. fav. A great find and capture. Beautiful. Amazing to think of the time that has passed to form the details in that beautiful rock. Eat your heart out Capt Cook. Love your imaginative thinking here Denise.